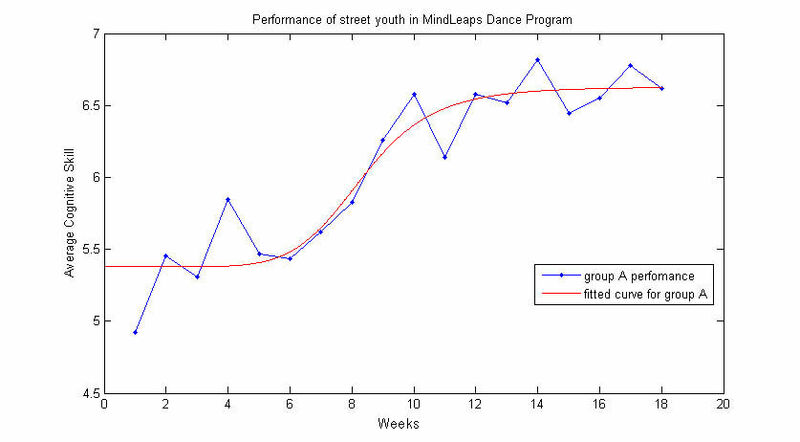 All of MindLeaps’ dance programs use Tracker, a data-driven Monitoring & Evaluation (M&E) system that measures changes in cognitive skills and social-emotional learning. Developed in collaboration with Carnegie Mellon University, psychologists and software engineers, Tracker is an innovative assessment tool to measure a child’s learning development. It is a software system that uses a kinesthetic-based rubric to capture and graphically display changes in seven particular skills: memorization, grit, teamwork, discipline, self-esteem, creativity and language. Tracker is unique because it gathers data from a child’s execution of dance moves to visually graph changes in cognitive development and social-emotional learning. Since the assessment relies on actual movements the child performs in the dance space, it reduces subjectivity. It is standardized and scaled, and thus far, Tracker has been used by students, educators, social workers and dance teachers. The Tracker system consists of an Android tablet containing the rubric and an online website. When a Wi-Fi connection is present, the data from the tablets sync to a front-end web application that stores student and class information. A mathematical model is applied to the data to generate graphs of learning curves to show individuals’ achievements. As a formative assessment, Tracker gives direct feedback to teachers in real time. For example, if teachers see that an individual student is scoring low in ‘grit’ or ‘self-esteem’, they can emphasize exercises that focus on those skills in the next lesson. MindLeaps is a humanitarian organization that serves out-of-school adolescents in postconflict and developing countries. The core of our work is a bridge program that attracts vulnerable adolescents to dance classes that target critical learning skills to prepare them for entry into schools or vocational training centers. Preliminary findings by Carnegie Mellon University Rwanda concluded the MindLeaps’ program improved the composite skill levels of 45 youth between the ages of 9 and 18 years in Rwanda. MindLeaps’ standardized dance curriculum focuses on cognitive skills that we determined were critical to future school success. The program develops adolescents’ ability to concentrate, memorize, and use language, while helping them learn to work as a team, become self-disciplined and develop their creativity and self-esteem. A team of Carnegie Mellon University students and faculty developed software that allows us to capture daily data on these skills. The software generates skill development curves that visualize the progress of individual students and entire groups. Each student in the study had a minimum of 504 data points, and each class/group had over 7,500 combined data points. Students were assessed over a six-month period. Further research needs to be done with larger samples and accounting for other factors, such as access to food, and addictions. This paper explains how a dance curriculum supports cognitive development and social-emotional learning for out of school youth in Kigali, Rwanda. The dance curriculum, developed by MindLeaps, focuses on improving seven cognitive and non-cognitive skills: memorization, language, grit, discipline, teamwork, self-esteem, and creativity. These skills are measured on a 7-point Likert scale developed by professional dance instructors, social workers, and educators to facilitate the rehabilitation and school readiness of vulnerable youth. From 2014-2016, 99 students, ages 9-18 years old were placed into six classes, four of which met three times a week for two-hours/day and two of which met two times a week for two-hours/day. The results show that, after 200 days in the program, children are ready to return to school as determined by statistically significant increases in their skills development.